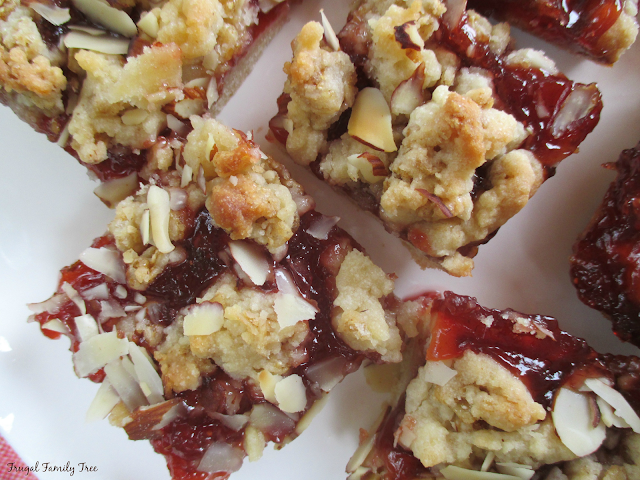 There are lots of recipes out there for crumble bars, and these yummy jam filled treats are ones that I really love making for family and friends. There is something about them that reminds me of being a kid. Maybe it's because I ate a whole lot of jam sandwiches growing up that my mom made for me, and that's where the association comes from. Food can bring up so many memories of the past for us. And fortunately for me, I grew up in a house where my mother was a good cook and we never went without full bellies and treats after dinner. Sometimes you take things for granted and don't realize until years or decades later just how lucky you were. Now as a grandmother, cooking and baking for my family is something I truly enjoy doing, and I hope they remember all of it with the love and affection that is put into whatever I make for them. Anyhow, this is Ina Garten's recipe from her cookbook, Foolproof. Everyone who knows me knows I adore Ina, she has been a real inspiration for me for years now. Sift the flour and salt together and, with the mixer on low, slowly add to the butter mixture, mixing until it almost comes together in a ball. Turn the dough out on a board. Lightly pat two-thirds of the dough evenly on the bottom of a 9-inch square baking pan and about 1/4 inch up the sides. Spread with the jam, leaving a 1/4-inch boarder. Mix the granola into the remaining dough with your hands. Break the dough into small bits and distribute it onto the top of the jam, covering most of the surface. Sprinkle the almonds on top. Bake the bars for 45 minutes, until lightly browned. Cool completely and cup into 9 or 12 bars. Sprinkle lightly with confectioners' sugar if desired. The recipe is actually quite easy to make and other kinds of jam would work well here too. I love the crust on these bars, it's soft and a little chewy. Be sure to let them completely cool before slicing them so that they don't fall apart. I cut into them too early and had this problem, and had to let them sit longer so they would be firmer. 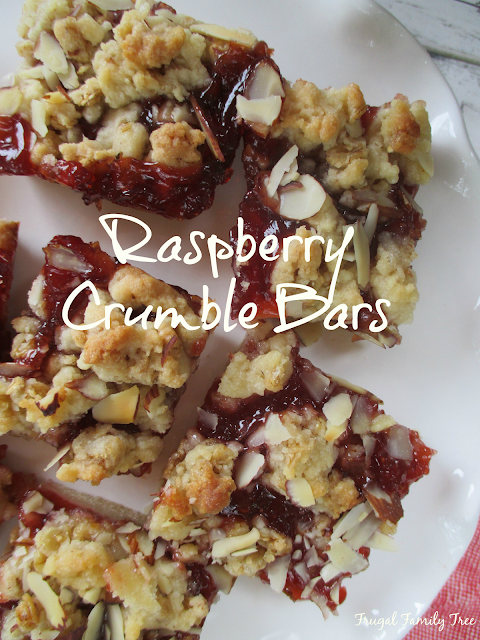 If you're looking for a treat to take on a picnic or the beach, these are a great choice, and they travel well. And they are just so yummy! !